This Weird Natural "Painkiller" Will Destroy Your Pain in No Time! With over one million refugees from Venezuela having fled to other countries, with dozens of people dying violently in Venezuela every day, Venezuela’s dictator Nicolás Maduro’s Socialist policies seem to drive the country further into disaster every week. 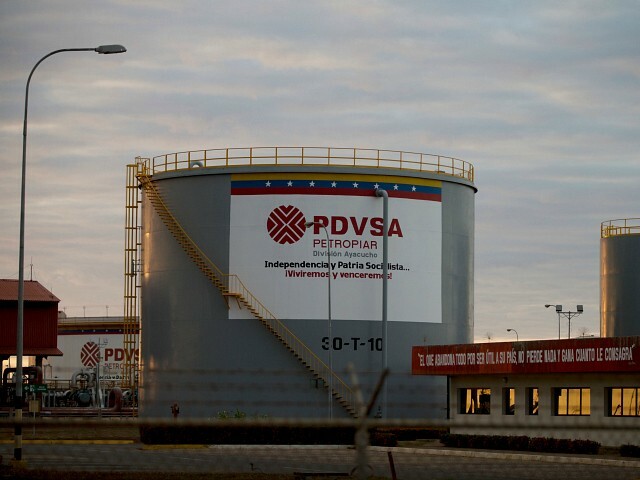 Venezuela has some of the largest oil reserves in the world and Petróleos de Venezuela S.A. (PDVSA) was once one of the biggest oil producers in the world. But socialist dictator Hugo Chávez nationalized ExxonMobil’s Venezuelan assets in 2007 and turned them over to his crooked cronies who did not know anything about running an oil company. Venezuela’s oil production has been steadily declining for years. Average oil production declined dramatically over the past two years, by 12 percent in 2016 and again by 13 percent in 2017. Production in December 2017 was 27 percent lower than a year earlier. And this year it has fallen even farther. Late last year, Venezuela’s socialist president Nicolás Maduro appointed a military man, Major General Manuel Quevedo, head of PDVSA, with a mandate to increase production and rid the company of corruption. Quevedo treated the engineers and other professions contemptuously, even calling them “thieves and saboteurs.” Tens of thousands of employees left the company, and Quevedo replaced them with soldiers who knew nothing about the oil industry.